Natty Bumppo — also known as the Deerslayer, the Pathfinder, and Hawkeye — returns in this adventure by America's first great novelist. Originally published in 1841, The Deerslayer was the final installment of James Fenimore Cooper's five Leatherstocking Tales, although its action precedes that of the earlier novels. Thus, the story provides a perfect introduction to the series, tracing the young hero's evolution from Deerslayer to Hawkeye. Cooper recalled the territory of his youth, New York's Lake Otsego region, in the settings of his novels, recapturing the region's natural beauty as well as the danger and excitement of frontier life during the French and Indian War. This dramatic tale of the Deerslayer's attempt to rescue a trapper and his family from an Iroquois attack was acclaimed by D. H. Lawrence as "one of the most beautiful and perfect books in the world: flawless as a jewel and of gem-like concentration." 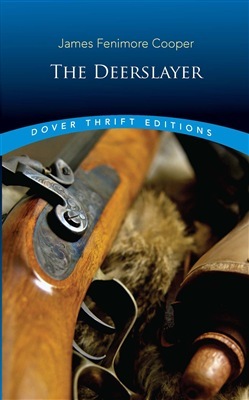 Acquista The Deerslayer in Epub: dopo aver letto l’ebook The Deerslayer di Fenimore Cooper James ti invitiamo a lasciarci una Recensione qui sotto: sarà utile agli utenti che non abbiano ancora letto questo libro e che vogliano avere delle opinioni altrui. L’opinione su di un libro è molto soggettiva e per questo leggere eventuali recensioni negative non ci dovrà frenare dall’acquisto, anzi dovrà spingerci ad acquistare il libro in fretta per poter dire la nostra ed eventualmente smentire quanto commentato da altri, contribuendo ad arricchire più possibile i commenti e dare sempre più spunti di confronto al pubblico online.